Obituary for Thelma Carson (Jones) Thompson | Thompson Funeral Home, Inc.
Thelma Jones Carson Thompson, 86, of Orangeburg passed away Saturday morning August 18, 2018 at The Methodist Oaks. Funeral Services will be held 4:00 PM Tuesday, August 21, 2018 at Thompson Funeral Home Chapel in Orangeburg with burial at Memorial Park Cemetery in Orangeburg with Rev. Tyler Spinner and Rev. Dwight Brazzle officiating. Pallbearers will be Bubba Carson, Matthew Carson, Wayne Carson, Mark Carson, Chris Williamson and Kendrick Johnson. She was born September 24, 1931 in Orangeburg, SC; the daughter of the late Harry Jones and the late Evelyn Jones Peele. She was a member of the Word of Life Pentecostal Holiness Church in Bamberg. She was the widow of the late Barton Thompson and was preceded in death by a son, James Allen Carson. Survivors include 4 daughters; Shirley Carson of Fairfax, Linda Driggers of Cope, Nancy Williamson (Mike) of Vance, Debra Pringle of Charleston; 1 son,Bubba Carson of Cordova; 14 grandchildren and a number of great-great grandchildren. 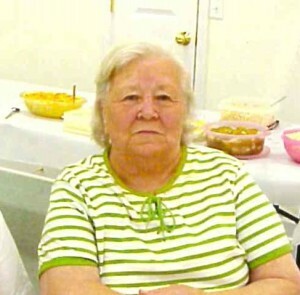 Friends may call at the residence of Linda Driggers, 132 Melody Lane, Cope, SC 29038 and at the funeral home. Memorials may be made to Hospice Care of South Carolina; C/O The Methodist Oaks, 1000 Methodist Oaks Drive, Orangeburg, SC 29115.